Andy is a Lecturer in Sports and Exercise Science at Swansea University, specialising in sports integrity, specifically match manipulation, equalities and employment relations in sport. Previously, Andy was a researcher in the Birkbeck Sports Business Centre, University of London and completed his PhD, now an interdisciplinary text, into sport,masculinity and sexuality. He has more than 20 years’ experience working in the labour movement and voluntary sector and specialises in research, strategy and education in workplace and social issues. His clients have included the International Labour Organisation, the TUC, FIFPro, the world professional football players union and the Musicians Union. 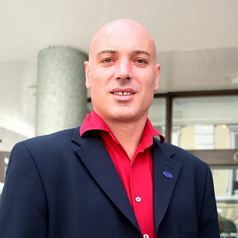 He became a founder Director of HIVsport in 2007 where he has brokered partnerships with the League Managers Association and Professional Footballers Association. He is also a member of the TUC Alliance against homophobia in sport. Andy has a law degree and MSc in Industrial Relations from the London School of Economics and an MA in Gender Studies from Birkbeck College. Andy has successfully bid for funds from the European Commission to undertake research into match fixing in professional football and regularly contributes to media discussions of match-fixing.